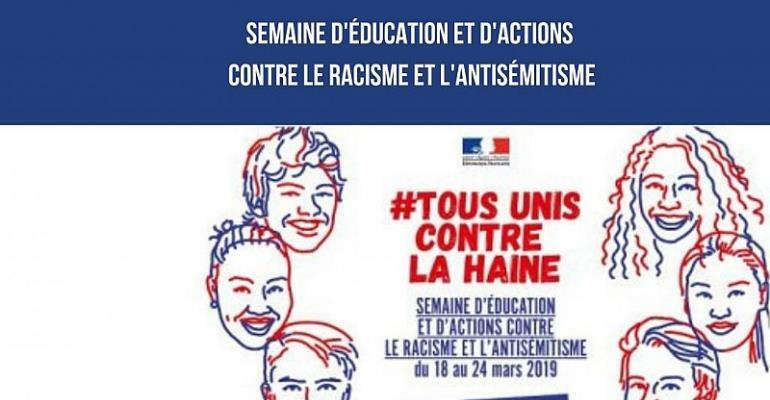 All this week schools, universities, sports clubs and cultural centres will be holding events in France aimed at combatting anti-Semitism and racism. This comes off the back of a 74 percent rise in anti-Semitic incidents in France. Five hundred events are scheduled to take place across the country to mark the Week Against Racism and anti-Semitism in France, according to the inter-ministerial delegation against racism, anti-Semitism and LGBT hate (Dilcrah). The French government wants to use the occasion to reinforce its support of anti-Semitic programmes, including the educational outreach component of the Shoah memorial for Jews deported to German death camps during the Second World War. Prime Minister Edoaurd Philippe and education minister Jean-Michel Blanquer will attend a ceremony at the Shoah Memorial in Paris today, and announce the extension of an agreement on anti-Semitism education by three years. Anti-Semetic incidents rose by 74 percent last year according to the Representative Council of French Jewish Institutions. The suspected anti-Semitic attack on the prominent Jewish philosopher Alain Finkielkraut by so-called “Yellow Vest” protesters in February sparked a debate about anti-Semitism in France. The Museum of the History of Immigration in Paris is holding a week-long festival of dance, cinema and debates aimed at combatting racism. Exhibitions are being held in tens of cultural centres across France. In Lyon, at the Tous des Rancy cultural centre an exhibition depicting 77 black players who have represented the French national football team is using sport to tell the story of immigration in France.